Ideal for yogis committed to at least one class per week! Monthly Autopay at $69/mo, includes 5 classes per month, 6 month term commitment. Additional classes beyond 5 per month may be attended at pro-rated single class rate of $13.80 per class. 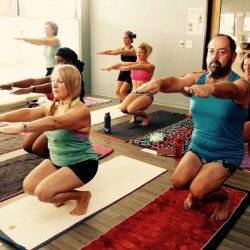 Unused classes do not roll over to next month. Contract agreement to sign.